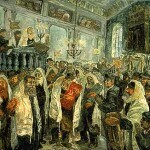 Parading the Torah scrolls is central to Simchat Torah. Even the least religious person is moved when they carry and dance with a Torah, not only because of the drama of the moment but because there is a symbolism which they can’t always put into words. In times of persecution Jews walked out of their synagogues clasping their Torahs. Leon Uris writes in “Exodus” about the Russian mob burning down a synagogue and murdering an elderly Jew as he tries to save the Torah scroll. 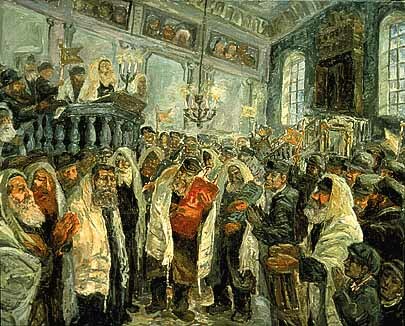 Uris says, “He died in the noblest way a Jew could meet his death – protecting a Sefer Torah”. But more than the Jew protected the Torah, the Torah protected the Jew. The Torah reminded a Jew to be faithful to the Jewish heritage, and it spelt out what that heritage meant. God and man, man and man, man and himself, eternal truths, practical living, sanctifying time, the preciousness of life – all accompany the Jew who walks through the world embracing the Torah. This entry is filed under Festivals & Fasts, Simchat Torah. WordPress generated this page with 31 queries, in 0.212 seconds.